The Intel Core 2 Duo SP9600 is a upper middle class dual core CPU for laptops, at the time of introduction. The SP9600 is basically a Core 2 Duo P9500 produced in a BGA Package for direct soldering on the mainboard. The package of the chip is therefore smaller and more suited for thin laptops. The power consumption is similar to the P9500. Due to the relatively high clock speed and 6MB Level 2 cache, the SP9600 offers enough performance for most demanding games (in 2009) and applications. The SP9600 uses a Penryn (Montevina Update) core that features 2 integer units, 1 floating point unit, 1 load unit, and 1 store unit in a 14-stages long pipeline. Due to the Wide Dynamic Execution Technology, the core is able to simultaneously execute up to four instructions. 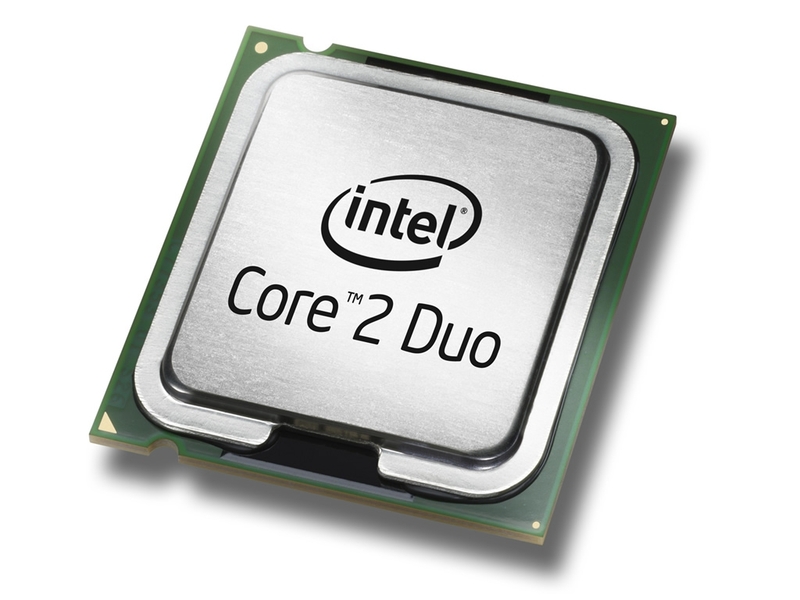 The Intel Core 2 Duo P8600 is a dual core processor for laptops. It features 2.4 GHz and a shared level 2 cache of 3 MB. Due to the smaller cache (Core 2 Duo T-Models got usually 6 MB at this clock rate), the TDP is only 25 Watt (instead of the 35 Watt of the T-models). Due to the relatively high clock speed, modern games (in 2009) should not be limited by the CPU speed (in conjunction with a middle class graphics card). High end gamers should choose a higher clocked Dual Core instead (when using a high end GPU). Compared to the fastest Turion II Ultra M640, the P8600 should be still faster. The P8600 uses a Penryn (Montevina Update) core that features 2 integer units, 1 floating point unit, 1 load unit, and 1 store unit in a 14-stages long pipeline. Due to the Wide Dynamic Execution Technology, the core is able to simultaneously execute up to four instructions.